'Higher thought' is an extremely powerful evolutionary adaptation, allowing humans to create and build all the things in the world. But we idolize it and project it onto the universe, and see God as pure thought. It isn't just atheists that do so, but most scientists, philosophers and theologians. Most philosophers these days deny the existence of metaphysical reality, at least numinous if not ruinous. Hegel however, believed humans know metaphysical reality because it is a rational system and we are rational beings. He maintained, as a current academic philosopher put it, that we can "reason it out, infer it, and figure its nature out logically." That's simply false. Metaphysical reality is rational, but man is essentially irrational. So Hegel and other Western philosophers were deeply mistaken when they maintained that man is a rational creature. That's why the correspondence between the rational system of nature and the reason of man is tenuous at best. Indeed, nature, and ourselves, cannot be primarily understood through reason. For philosophers and scientists, that's a hard pill to swallow. Devotees of reason and knowledge say things like, "The current call to be chastened with respect to knowledge, to have 'humility in the face of mystery,' is a pure arrogance of the present moment." That's absurd of course, since there's no such thing as "arrogance of the present moment." That is the arrogance of the past and the present. Which is to say, the arrogance of the human mind continuing to place itself at the center and venerate thought as the highest thing on earth and in the universe. Keep in mind that if our sun could collapse into black hole, it would be less than 6 kilometers (4 miles) across---with exactly the same gravitational force holding all the planets in their orbits that it has now. A black hole the size of our solar system boggles the mind. 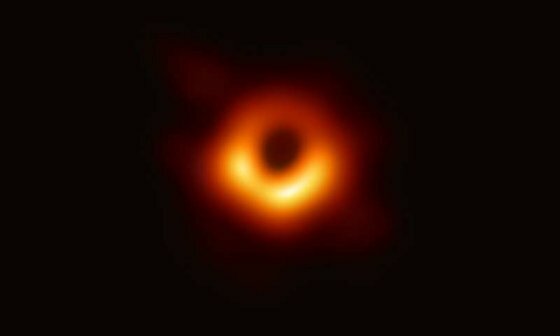 Another astrophysicist on the project, Dan Marrone, proudly added, "We could actually fill in that final [black] hole, and show that the universe was working again in a way we arrived at by reason." There it is, "arrived at by reason." Given that black holes were indeed arrived at by reason from Einstein's equations for general relativity (which Einstein himself tried to disprove actually existed by the way), then why has man generated so much disorder, fragmenting the planet and humanity all to hell using reason and the knowledge it has brought? Then the ordering principle, or cosmic intelligence is directly perceived. That doesn't preclude science at all; but science, when it venerates thought and reason, prevents direct perception of the wholeness and order of nature and the universe. Reason is a function of 'higher thought,' which is an evolutionary adaptation par excellence. But it is still an adaptation, not the source of ongoing creation and evolution. For the experiencing of creation to be, thought in its entirely has to fall completely silent. When thought is completely still, a state of insight exists, and there is communion with creation, with "the mind of God."